Events can no longer pretend they have no ecological impact. And bad PR is a powerful incentive. Plastics were, until recently, such a common staple in everyday life that we even forgot they existed. That is, until shocking footage of a sea of this highly resistant petrol‑based material floating around the planet’s Oceans triggered a worldwide campaign to liberate Earth from this plague. It is found in fish´s guts and, when reduced to its tiniest form – micro‑plastics – becomes virtually impossible to eliminate. Event organisers are no longer shying away from this fight, with an array of measures, some more effective than others, to stop plastics from being such a common sight at their shows. 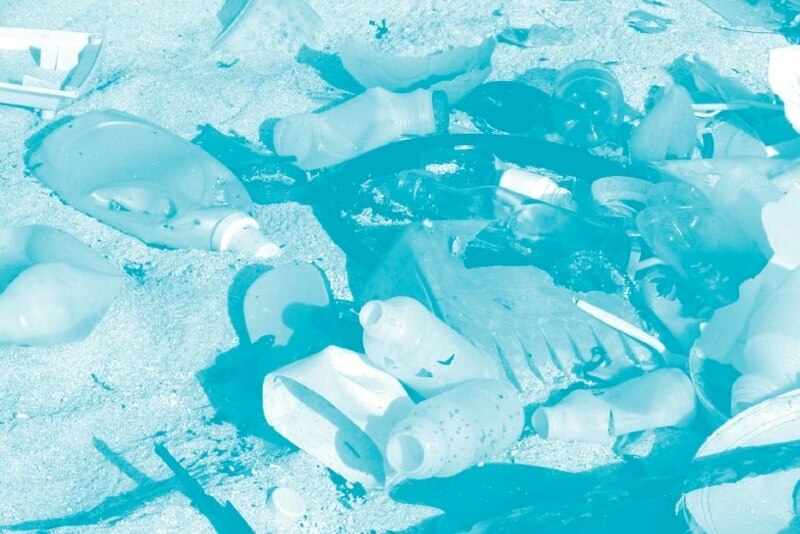 Straws, cups and bags are the biggest victims of this sweep, at a time when regions like the European Union and some American states are planning or already enforcing bans and restrictions. Hotels and venues are in the frontline of this fight. Four Seasons already cut down on its use of straws in 20% and by the end of this year it will be down to zero. The Hilton chain also announced that plastic straws would be eliminated from its hotels by the end of 2018. Accor banned them in 83 North and Central American properties. Marriott promises to end all straws and drink stirrers from 6,500 properties by July 2019 and is working to replace small bottles of shampoo and conditioner with in‑shower dispensers at 1,500 properties by the end of the year, in a move that will eliminate 35 million bottles annually. In a larger scale, Hong Kong Convention and Exhibition Centre started last July a campaign called “Think before Plastic” for the elimination of plastic straws and replacing plastic cutlery with non‑plastic alternatives at all restaurants and concession stands. With this plan, the venue hopes to cut 1,3 million pieces of plastic cutlery and over 330,000 plastic straws in 12 months. Cup lids and other items might also be replaced. The venue is sourcing for options. In Portugal, this concern has been shared among industry’s players for sometime now. IHG group, that owns Crown Plaza and Intercontinental Porto, in the Portuguese city, has replaced plastic straws with recycled paper ones, that are only supplied if the costumer asks for them. Music festivals are also natural spaces for this kind of world changing initiatives. Also in Porto, Primavera Sound has opted out of one‑off cups and now sells reusable ones. You buy a cup, use it to drink in the festival grounds and then take it home. In Lisbon, Rock in Rio launched a collection of reusable cups, with 10 models, inspired by the Pop Art movement. Neya Lisboa Hotel picked plastic bags for its fight against pollution, a natural move after the property abolished straws. The hotel gave its costumers an organic cotton bag and asked them not to use plastic bags during their stay. Or ever. The fight against plastic utensils has gone all up the European institutions. EU wants to ban them completely and is drawing up a plan to do so. Most countries have stopped supplying free low quality plastic bags to shoppers, that have become accustomed to reusable ones. In the US, the city of Seattle has forced its restaurants and hotels to find reusable or compostable utensils, by banning all plastic ones. Of course there are challenges for event organisers. Plastic wrapped food is everywhere in the industry and, due to health and safety regulations, it’s hard to find a replacement. But new materials, washable and reusable are slowly making their way in the catering business world. And for organisers, the bad PR that is now associated with plastics can turn a successful event into a nightmare. Other items, like badges and water bottles will help to make an event into an ecological disaster. 15 Hatfields, a venue in London, has been working in sustainable events for some time now. Organic, locally sourced catering is one of their trademarks. By the end of the year it will be plastic free. Companies like Eco Events also help in environmental project management. With all these tools, there’s no reason for the events sector not to switch to a greener approach.